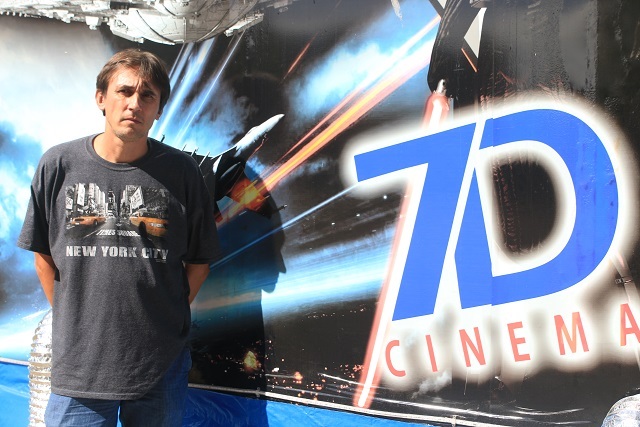 (Seychelles News Agency) - A movie experience for all of your senses -- branded as 7D cinema -- is opening in Seychelles. The cinema is fast becoming one of the main attractions at the former children’s playground in the Seychelles capital, Victoria. It opened to the public on the last Friday of July. 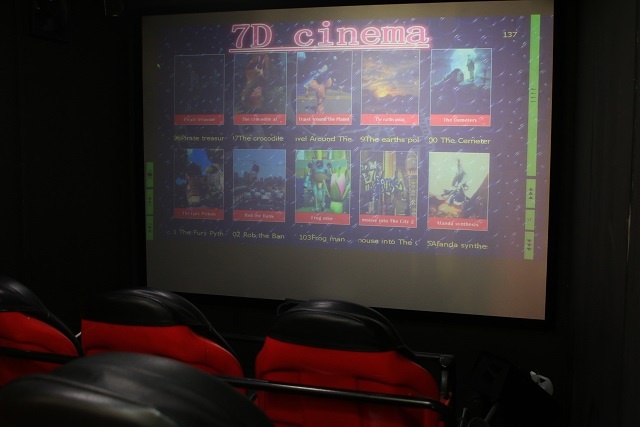 The 7D cinema is the first of its kind in Seychelles, a group of 115 islands in the western Indian Ocean, It belongs to a Ukrainian business entrepreneur, Sergey Avilov under his company, Blue Ocean Entertainment. Avilov says that customers in the 9-seat cinema can use 3D glasses for visual effects, and there are chair movements which give a 4D experience. Customers can also experience other effects including laser guns, snow machines, rain, wind and fire equipment, lighting and also mouse tails under the seats. 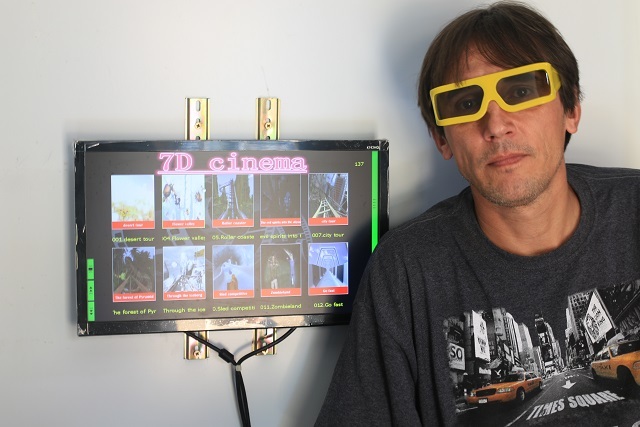 Unlike the three-dimensional (3D) film, the 7D cinema is a simulator platform which moves according to what is happening on the screen. The main difference of the 7D cinema compared to others, is the seven special effects that make the experience of the short movie ride of up to fifteen minutes, even more real, intense and exhilarating. Avilov says the cinema is more of an educational program for the children. There are over 120 movie clips ranging from seven to 15 minutes long. Tickets cost around $4 for both adults and children. Avilov who has been living in the Seychelles for the past 20 years with his wife and 13-year-old daughter, says he remembers the old children’s playground. “I remember a long time ago there was this playground with trains and other fun games, but now there are no trains, so I want to bring something more for the children,” Avilov added. 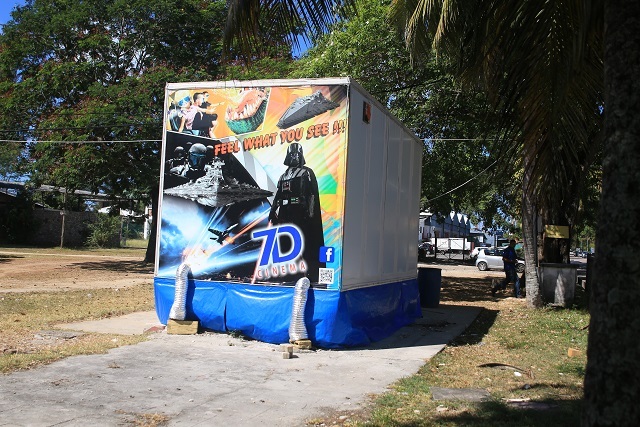 The Ukrainian entrepreneur says the trailer for the cinema was built in Seychelles as it was too expensive to import and too big for transportation in a container. The size was also reduced to be able to transport the cinema to different locations on Mahe, the main island. "The trailer contains about two tonnes of equipment, so the total weight is about three or four tonnes, so it is very heavy and very difficult to move,” says Avilov. “For the time being, we want to start with this and see if the children like it or not,” said Avilov who also has other entertainment ideas. L’aventure de la nature sauvage des Seychelles « Aldabra - Once Upon an Island » bientôt à l’écran.